France in London | "What's your veal stew like?" Is it to Maigret's taste? "What's your veal stew like?" Is it to Maigret's taste? 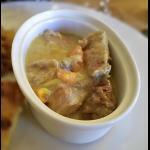 No it is not a joke, we have dedicated a whole article to the Blanquette de Veau otherwise known as veal stew! With the cold weather outside, there is nothing better to warm you up. Let yourself seduced by by this homely idea. Get ready to hear about anecdotes, recipes and tips! The geographical origin of this typically French meal, prepared using some simple ingredients such as veal, winter vegetables and crème fraîche, is unknown (Normans, Burgundians and Lyonnais will all tell you they are the ones who invented it). We need to go back to the XVIIIth century to tell the story of the “blanquette de veau”. Back then, it was served as a starter and only in grand bourgeois families. Veal stew only appeared on the menus of Parisian brasseries after WWII and was served as a main dish, with rice. Veal stew has always been highly appreciated by famous detectives. Jules Maigret, created in 1929 by the Belgian author Georges Simenon, is probably the greatest fan of this dish. 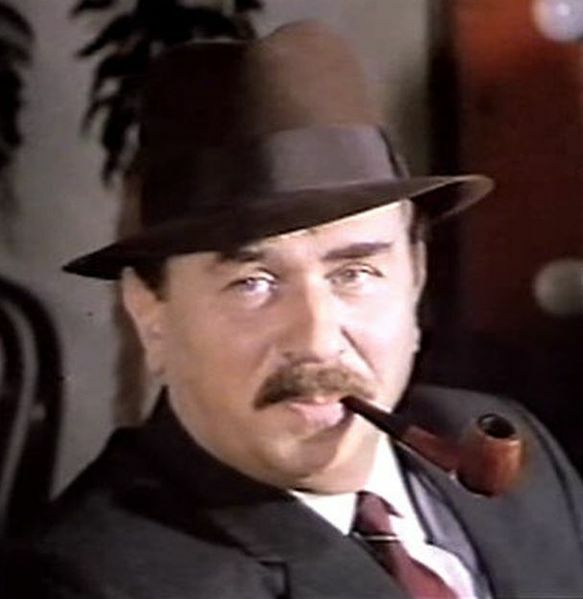 Blanquette is often referred to in the Maigret books. In A failure of Maigret, the waiter of Brasserie Dauphine brings the detective a “veal stew that Mrs Maigret would not have made creamier”. And considering the meal’s wealth, we are not surprised “he did not have cheese, nor fruits and only ordered a coffee, which he drank scalding while packing his pipe”… Antoine de San-Antonio, Frédéric Dard’s heroe, prefers his mother's recipe, with pickles. Your mouth is watering? Your kitchen could smell like cream and bouillon quite easily! All you need to do is follow the instructions. Do you feel like adding your own touch by throwing in some turnips, pickles or pork? It’s up to you! Put the spring onions in a bowl of cold water. Cut the meat into large chunks. Peel the carrots and cut them into large pieces. Peel the large onions and push the cloves into the onions. Wash the celery, cut it into large pieces and tie them together with the thyme and the bay leaf to make a bouquet garni. Peel the garlic. Put the meat, the carrots, the bouquet garni, the onions with their cloves, the garlic and the wine into a pressure cooker. Add the wine and cover with water, add some salt and pepper and leave to simmer for 1h. Cut the mushrooms. Boil 20cl of water and the lemon juice in a pan. Add some salt and heat the mushrooms in the water for 3 min. Leave to dry. Dry and peel the spring onions. Put them in a frying pan with 30g of butter and a glass of water. Add salt and leave to cook for 25 min. Melt the rest of butter in a pan, and add the flour. Mix and leave to turn brown for a few minutes, while whisking. Leave to cool down. When the meat has finished simmering, take 1 litre of the stock, filter it and pour into the pan with the butter and flour, whisking as you pour. Leave to boil and then cook for 5 min on a low heat. Salt, pepper. Whisk the egg yolks with the cream and the rest of lemon juice. Add a ladle of stock, mix and pour back into the pan. Dry the meat, the carrots, the onions and the mushrooms, cover with the cream sauce and serve. Great news: you can find all the products to make the recipe in London! Get your hamper and purchase fresh, high quality products at Natoora. You will find everything you need there. If, just like detectives, you prefer to have your stew in a Parisian brasserie, go have a look at Chez Patrick's menu.